This photo shows one of the windows which were uncovered when I moved the shelving units. 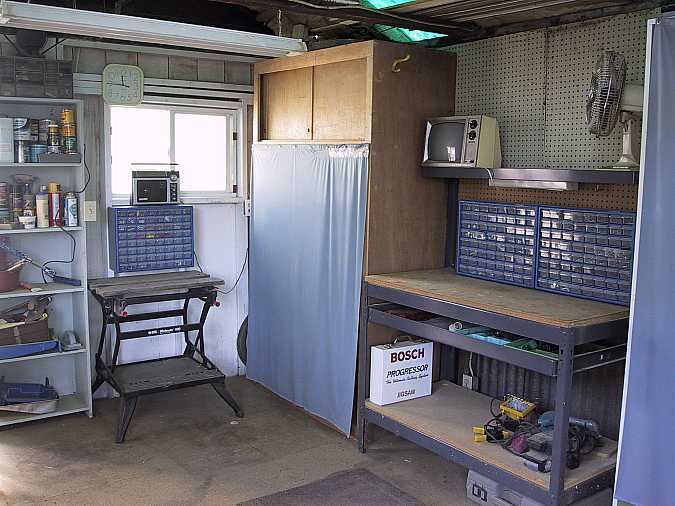 The two covered shelving units house paint cans, automotive supplies, etc. I have my father's old scroll saw on a little table underneath the window. 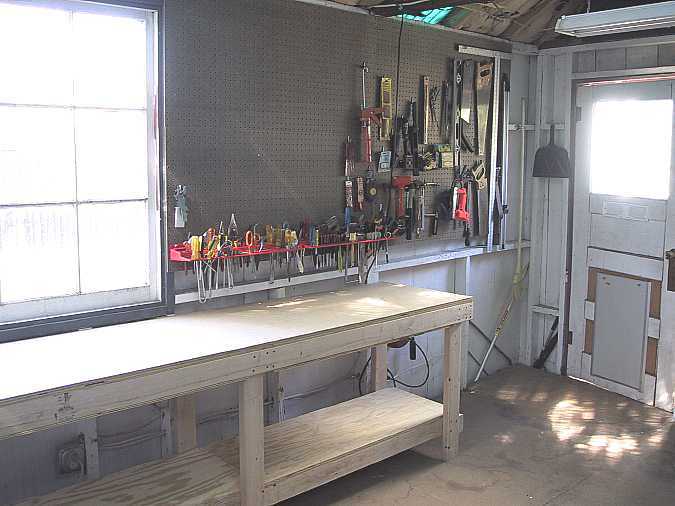 The steel workbench you see to the left was what used to cover another small window. 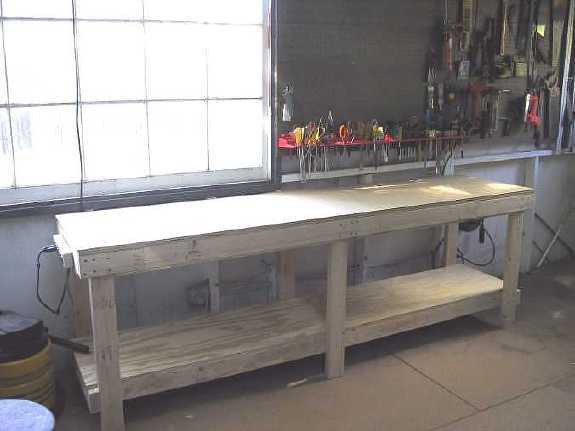 Here's the new 8-foot bench I built. It has plenty of storage space underneath, too. Another view of the new bench. I put up some pegboard along this wall. 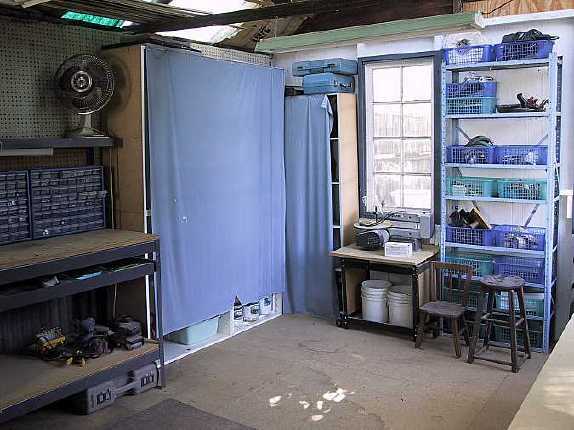 That covered unit is where I store all my odds and ends of lumber.